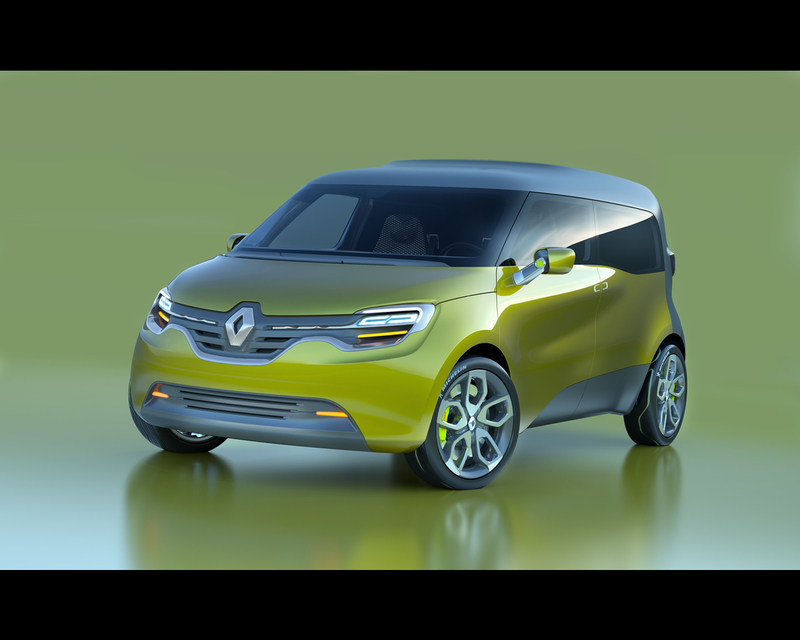 Laurens van den Acker, Senior Vice President, Design Renault: “FRENDZY is the fourth vehicle to illustrate Renault’s new design strategy, a series which started with DeZir. 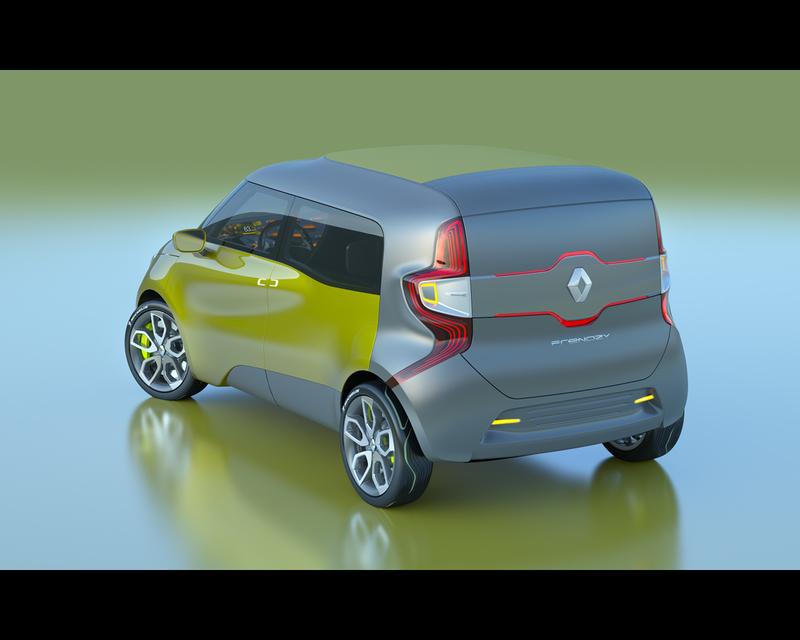 FRENDZY takes an original and innovative stance on the world of light commercial vehicles - a key part of Renault’s activities”. Renault’s latest concept car has a dual personality. These days, professional and personal lives are so intricately interwoven that drivers find themselves permanently channel-hopping between one world and the other. The role of FRENDZY is to be a partner that takes the strain out of this lifestyle. 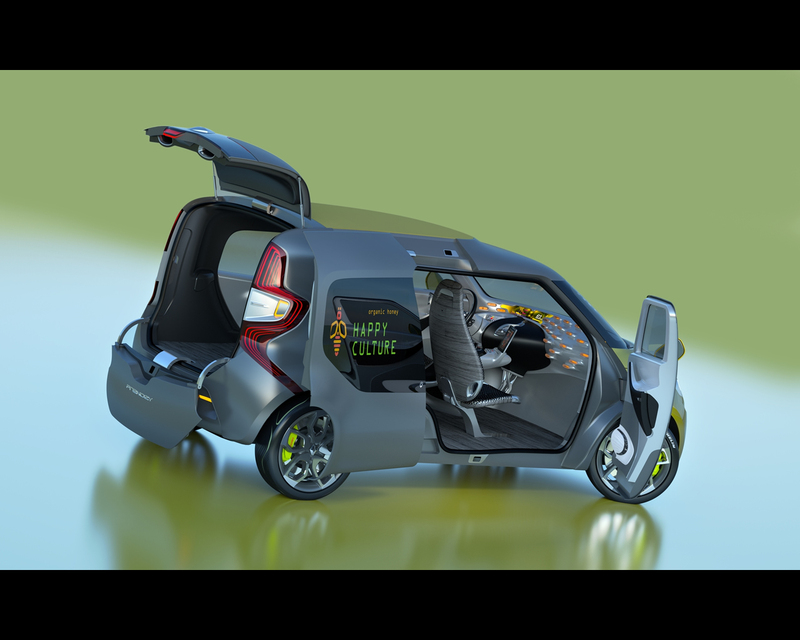 Axel Breun, Design Director, Concept and Show Cars:“FRENDZY is the must-have vehicle for flexibility and versatility. It is efficient and modern as a work tool, yet sporting and warmly welcoming for the family”. The driver, can adapt the vehicle to his needs. In ‘work’ mode, the rear-view mirrors sit upright and the interior lighting is green; in ‘family’ mode, the mirrors swivel round to the horizontal position and the interior is bathed in a radiant orange ambience. Coloured repeater lights in the headlamps and tail lights provide an external indication of the mode in which FRENDZY is operating. 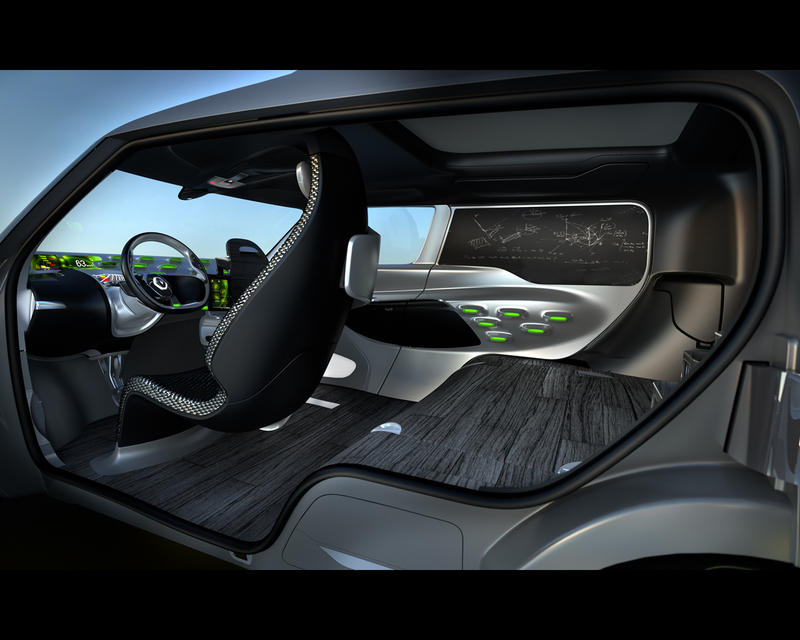 The driver’s side cockpit is designed along the theme of a futuristic ‘work bench’ featuring a structure which appears to be made from molten metal. 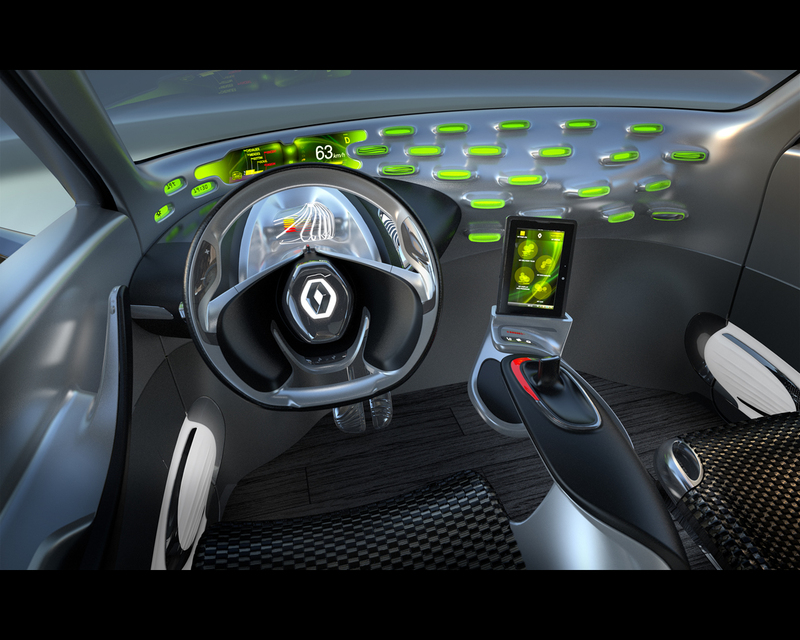 Green light emanating from the dashboard brings this smooth and organic architecture to life. These lights signify the ‘work’ mode and tie in with the colour displayed on the exterior of the vehicle. In the ‘family’ mode, the atmosphere becomes warmer as the green lights turn orange - a subtle reference to the colour of the previous concept car, the family-oriented R-Space. The user-friendly layout of the driver’s environment and tablet turn FRENDZY into a truly interactive and communicative tool. The BlackBerry® PlayBook™ tablet recently launched by Research In Motion (RIM), plugged into the dashboard, has enabled the concept of an office on wheels to become reality. BlackBerry PlayBook is ultra-portable (seven-inch touchscreen, 425g in weight, measuring 130mm x 194mm x 10mm), yet it delivers advanced performance, uncompromised web browsing with support for Adobe® Flash®, HD multimedia, advanced security features and out-of-the-box enterprise support. The tablet connects directly into the centre console, ensuring perfect convenience of operation once on the move. As soon as it is plugged in, it becomes an integral element of the vehicle and configures itself into the Renault environment. Continuity of work is assured once the device is removed, and it can of course be used for all of the renowned BlackBerry PlayBook tablet features. 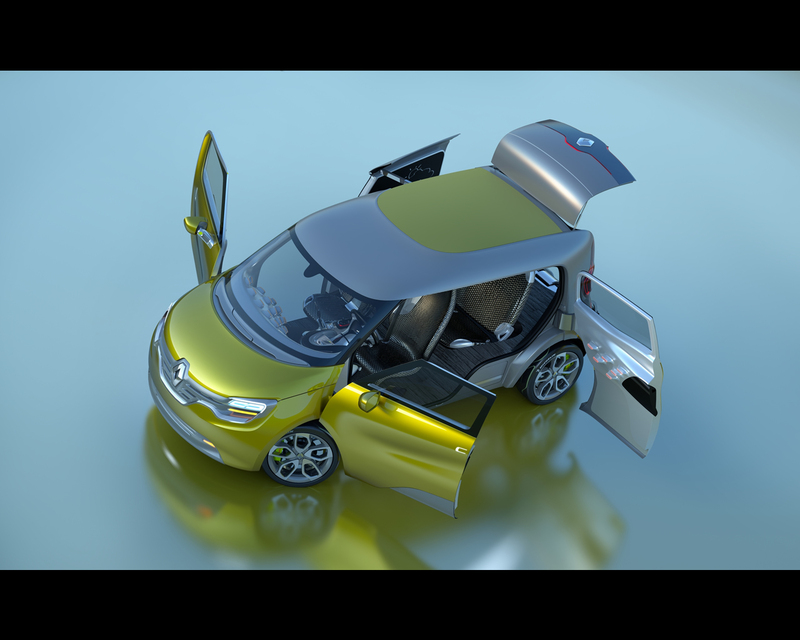 Like DeZir, which was unveiled at the 2010 Paris Motor Show, FRENDZY is an electric vehicle. As for FRENDZY’s powertrain, it is the same as that of Kangoo Z.E., although the charging point - located under the Renault logo at the front of the vehicle - is identical to that on ZOE Preview.